The beginning of Fall means one thing: Halloween is on its way and one company couldn’t be chipper: Doritos (pun intended). In the spirit of carving pumpkins, going apple picking, and enjoying that coveted Pumpkin Spice Latte, Doritos is getting in the Halloween spirit. 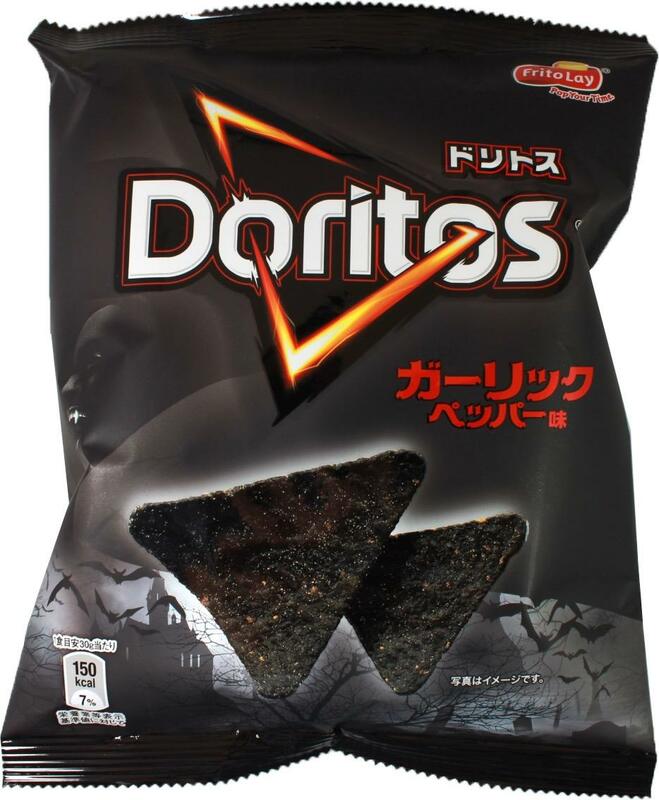 A far cry from the beloved PSL, Doritos in Japan has released a new limited-edition flavor of the popular chip called Black Garlic Pepper. While very different from most popular flavors like Cool Ranch and Nacho Cheese, this spooky flavor is perfect for the Halloween season, as well as warding off vampires. This is definitely something we’d be down to try! The Black Garlic Pepper flavor is currently only available in Japan, but according to Nerdist, the chips, which are being sold throughout the month of October, can be purchased on Japanese commerce websites like JList. This is not the first time Doritos released flavors deemed out-of-the-ordinary. In 2014, the company launched a series of “jacked-up” flavors, including Chocolate Chipotle Bacon, Caribbean Citrus Jerk, and Spicy Street Taco. In addition to releasing funky chip flavors, Doritos has been getting involved with the 2016 Presidential Election. National Voter Registration Day was just a few days ago, and with the election coming up in a little over a month, chip brand, in partnership with Rock the Vote, launched a campaign highlighting the dangers of not voting in elections, hoping to inspire those looking to sit the 2016 election out. Congrats to Doritos for taking part in our political process while also releasing awesome new flavors. Can’t wait to try the new Black Garlic Pepper flavor for ourselves (and to protect ourselves from any pointy-toothed creatures out there).